Go weapons-hot in a fully immersive sci-fi epic that reacts to every decision you make.Not everyone will survive. An ancient alien race, known only as “Reapers”, has launched an all-out invasion leaving nothing but a trail of destruction in their wake. Earth has been taken, the galaxy is on the verge of total annihilation, and you are the only one who can stop them. The price of failure is extinction. You are Commander Shepard, a character that you can forge in your own image. You determine how events will play out, which planets to explore, and whom to form alliances with as you rally a force to eliminate the Reaper threat once and for all. How you wage this war is completely up to you: go into combat with guns blazing or use cover to plan a more tactical assault. Utilize your squad to full effect or take a lone wolf approach. Rain death from a distance or go toe–to-toe with enemies using devastating melee attacks. 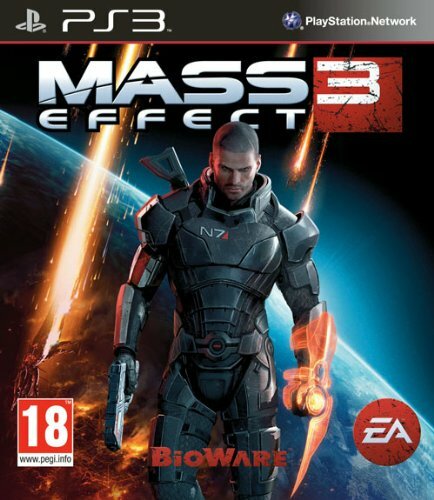 Mass Effect 3 will react to each decision you make as you play through a truly unique experience of your own creation. Massive in scope: Battle on many worlds across the galaxy as you unite the ultimate force to take back the Earth before it’s too late.